How can I inform my employees about changes? 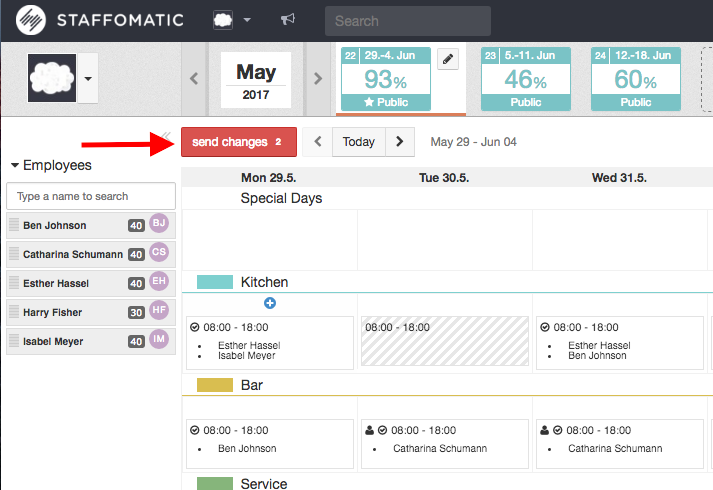 As soon as you make changes in a schedule, the grey button 'send changes' turns red. The number tells you how many changes have been made. 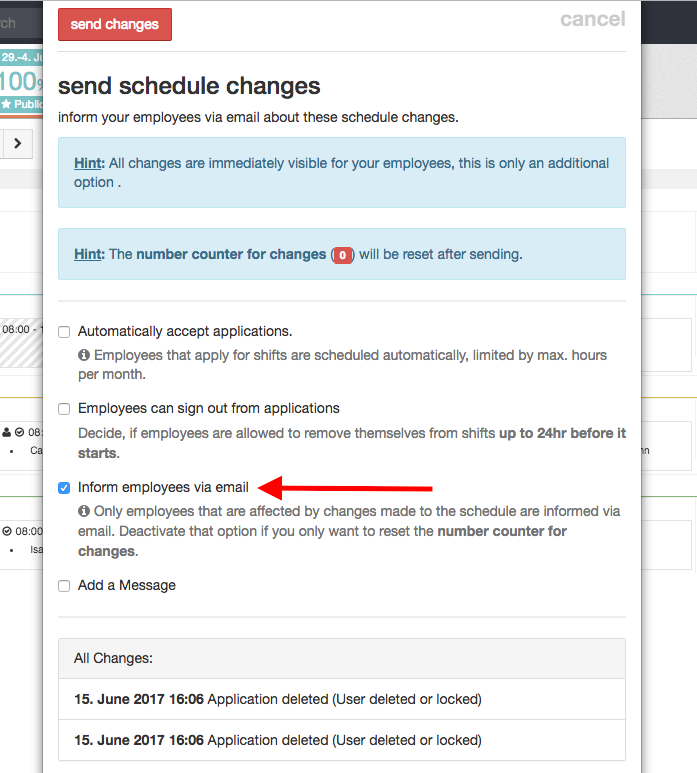 Click on the red button 'send changes' to inform your employees about updates in the schedule. A new window will open where you can check the box 'Inform employees via email'. Additionally you can add a message and automatically accept applications.